Yaya Dub now a Universal Records singer? Universal Records is expected to release the debut single of Maine Mendoza, 23, dubbed Yaya Dub before 2019. 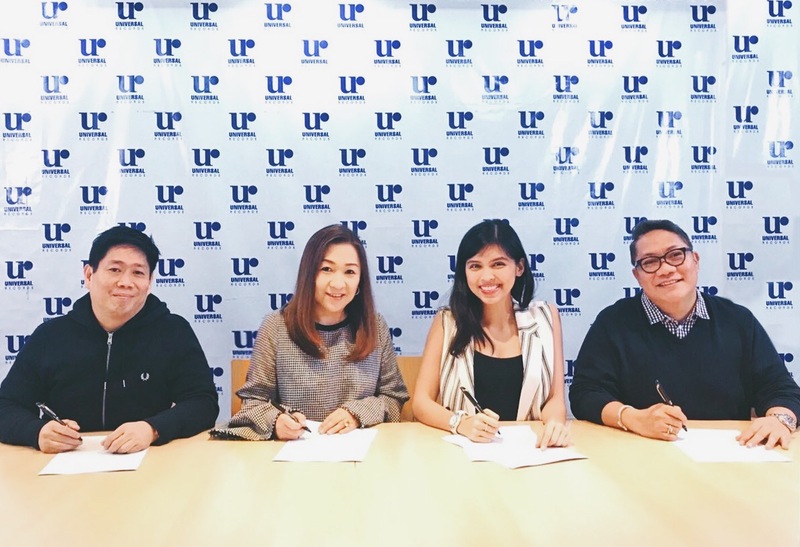 After weeks of anticipation, the better half of the AlDub duo has officially signed a record deal with the record label. Hints of Yaya Dub’s signing first hit the web after Universal Records posted a teaser photo of a mystery girl wearing a leather jacket bearing the word Universal on it. Fans were quick to catch on, as #MaineForUniversalRecords became the #1 Trending Topic on Twitter in the Philippines and worldwide not long after the teaser was posted. The mystery girl was finally shown to be non-other than Yaya Dub herself on June 22, 2018 as posted through a Big Reveal video, further exciting her fans. Signing with Universal Records is just the latest milestone for the Filipino star as she celebrates her third anniversary in the show business. Rising to stardom after being introduced as Yaya Dub on the long-running variety show “Eat Bulaga,” she has amassed a number of endorsements, TV shows, box-office hits and a best-selling book. Now, she is more than ready to trade in her dubsmash skills to pursue a recording career, adding to her many talents. Yaya Dub now joins the elite roster of Universal Records’ prime artists. Among them are Gary Valenciano, Christian Bautista, Noel Cabangon, The CompanY, Parokya ni Edgar, Gloc-9, Sponge Cola, Ice Seguerra, Shanti Dope, Christian Bautista and Elmo Magalona.